Dylan Crooks from Troop 101 Central North Carolina Council, sponsored by the St. Margret's Episcopal Church, solved a problem Eagle Project #7 created. When the bridge was built is 2008 there were no steps or sidewalk to get to the it. Guests and residents had to walk through the grass and down a hill to be able to use the bridge to get to the Picnic area. 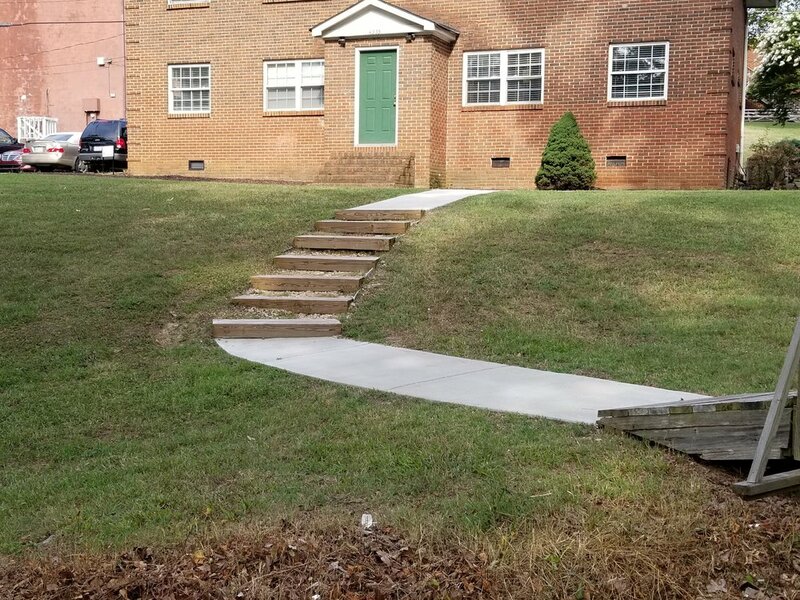 Adding these steps and sidewalk added a safe path. This project was completed in 2016.